By Nancy Young in Gadgets. Updated on December 2, 2018 . Whether you’re a child or a child at heart, you have your favorite superhero from some popular movie or comic. One of the downsides of being a grownup, however, is that it becomes quite awkward to play with toys or action figures. But you can always collect superhero inspired gadgets and accessories, and make them a part of your home decor or everyday life. In the post that follows, I have put together 20 fantastic gadgets and accessories for superhero lovers. 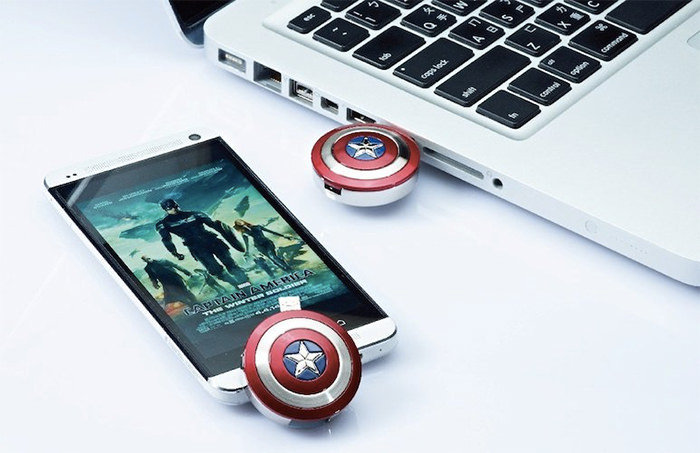 From Captain America Bluetooth speaker to Iron Man coasters, you’ll find a kickass gadget for each of your favorite superheros. Let’s check them out. 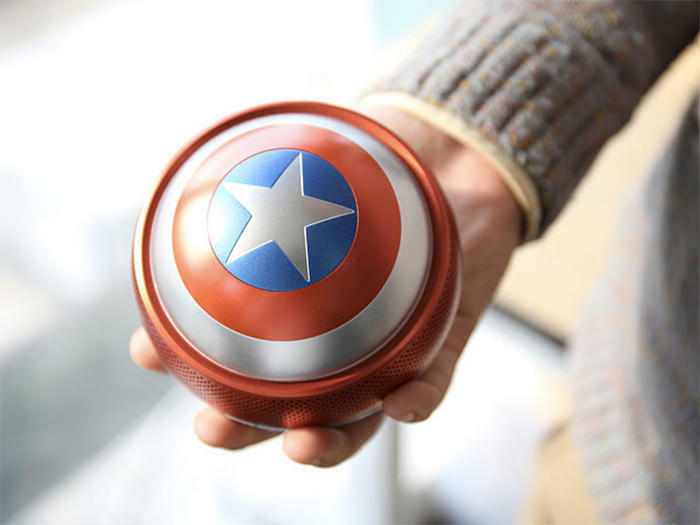 Supercharge your everyday music listening routine with this awesome Capitan America shield Bluetooth speaker. You can connect your tablet, smartphone or computer to this speaker via Bluetooth or audio cable. 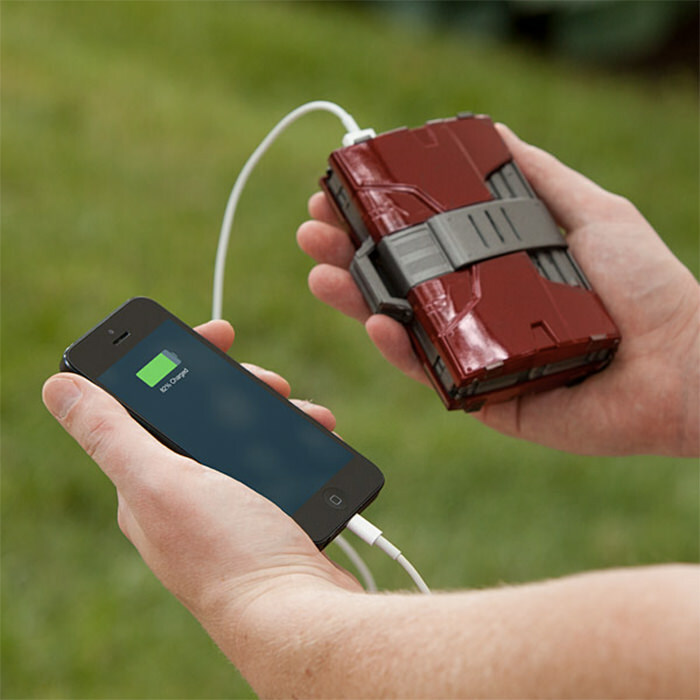 If your mobile device runs out of charge while you are saving the world, no worries, this amazing Iron Man mobile battery will cover your back. It charges most smartphones, including iPhones and Android phones. It is one of those creative bookshelves that will fit a child’s room as well as a lawyer’s office to add a note of Batman fandom as well as great usability. 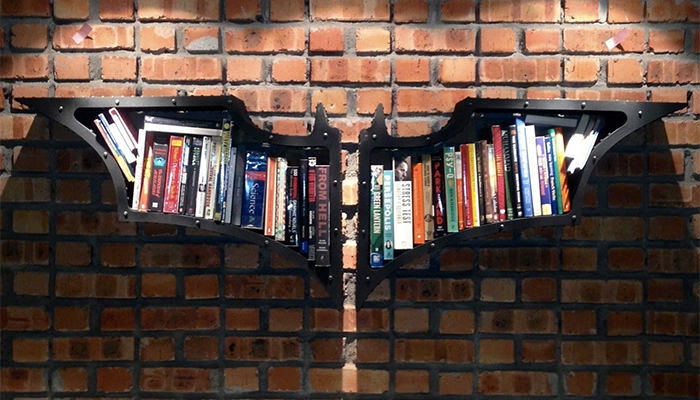 Let the wings of night stalker hold your books. The shelf consists of two pieces. 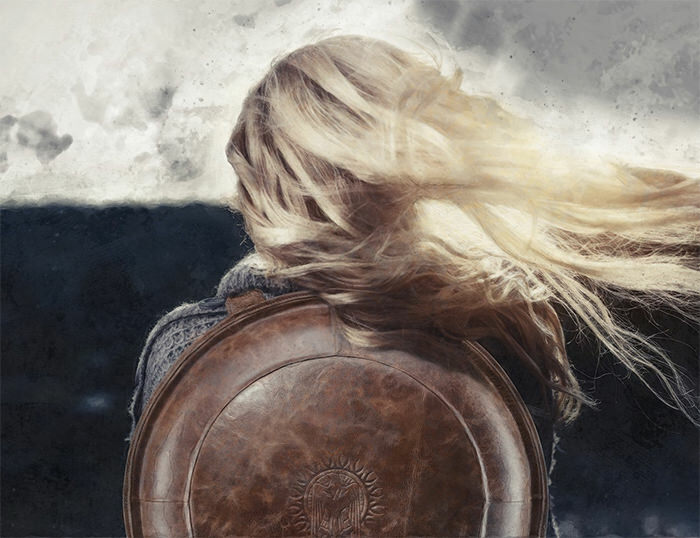 WonderShell Superhero bulletproof backpack will hold your gear as well as provide you the protection you could not imagine before. It has a superhero shield shape, but it also has ample space for your laptop, tablet, charger, and other accessories you may need. This product is the result of awesome design from Onnit and Marvel. The kettlebell is designed in the shape of Iron Man helmet, and hopefully, this piece of gear will inspire you to succeed in your workouts. 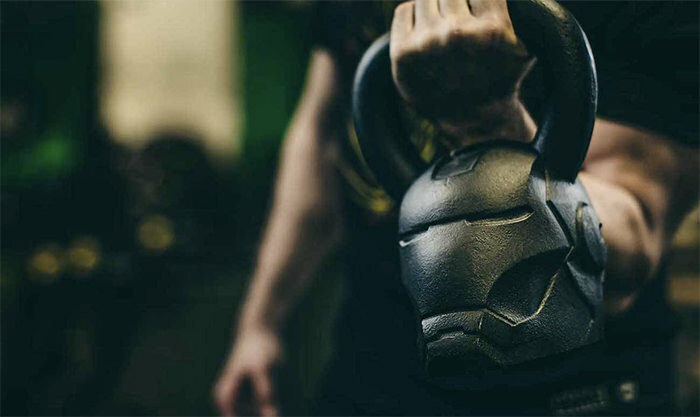 The Iron Man kettlebell weighs an impressive 40lbs. Batman has been one of the most popular superheroes since his introduction in 1939. 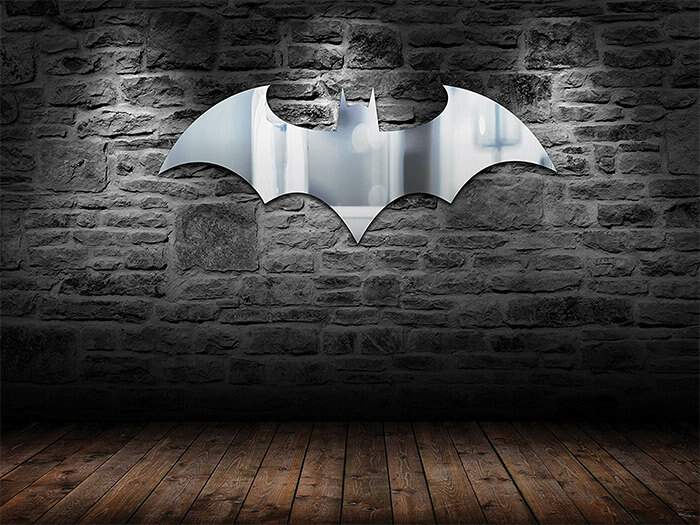 Today you can buy a mirror in a shape of an iconic Batman logo. This cool accessory will fit any interior, be it your home, office or even a Batman-inspired beauty salon. 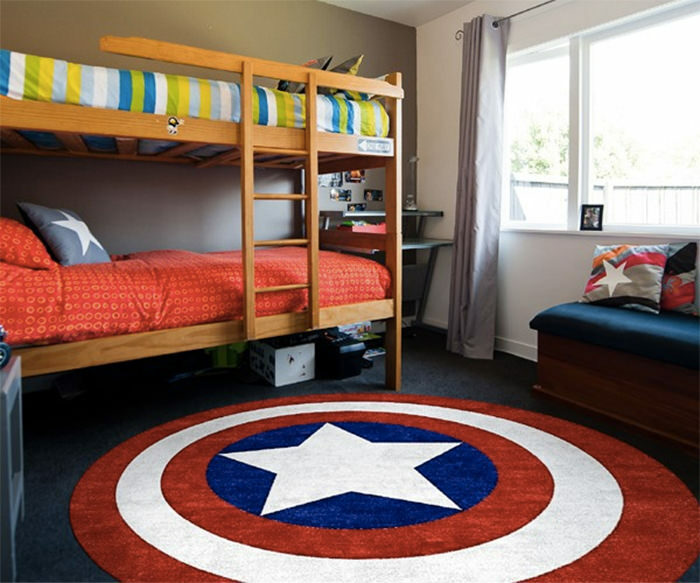 Wake up with a superhero spirit every morning as you stand on Captain America rug. Made out of wool and bamboo, this rug will be a perfect choice for kids room, bathroom or living room. The rug features Captain America’s shield which also makes it a gift that a geek would love. The USB is compatible with both your PC and smartphone which makes this flash drive much more than just a simple superhero toy. It has a shockproof and waterproof design. 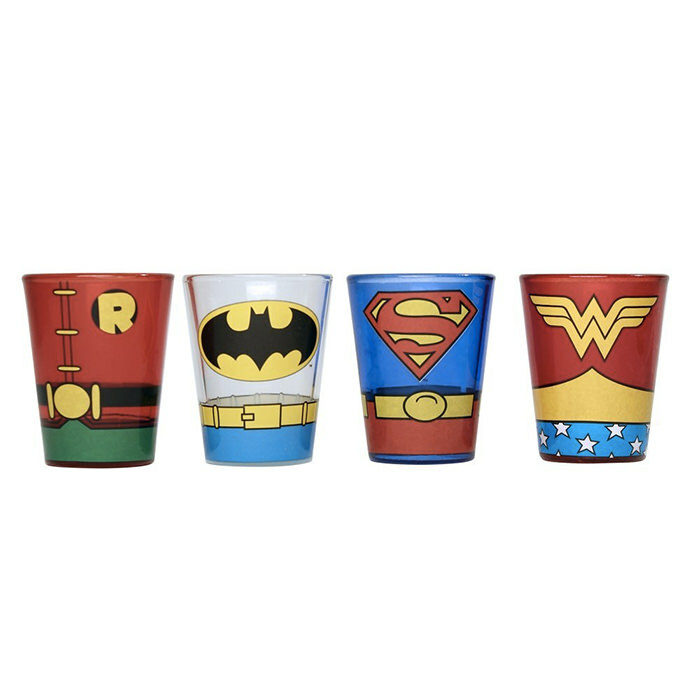 This amazing set of mini glasses is designed to look like your favorite comic superheroes. After a few rounds of these shots, you may feel like a real superhero yourself, but there is a huge chance you wake up with a hangover next morning. Inspired by the Dark Knight, this minimal and dramatic mug will be your kitchen protector. 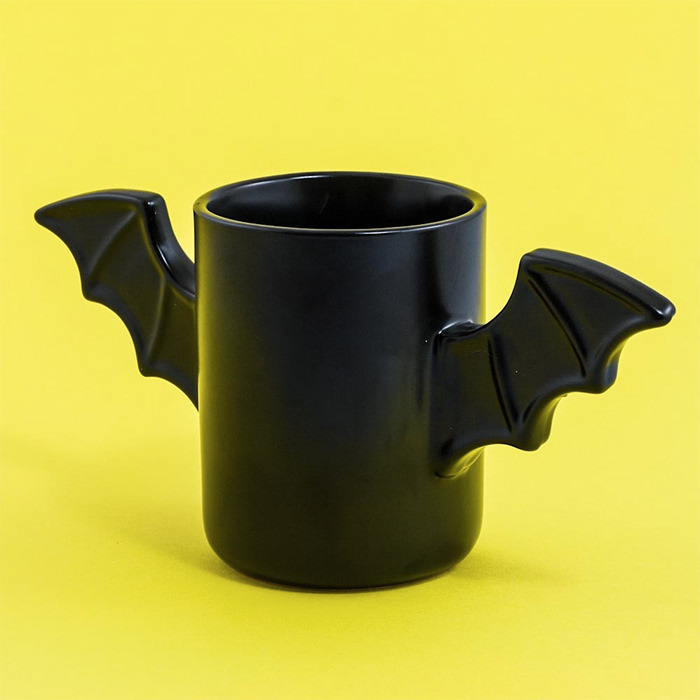 The mug is microwave safe and has got a unique design with ceramic bat wings. You can keep it on your desk as a pencil holder or use it for your every coffee routine. 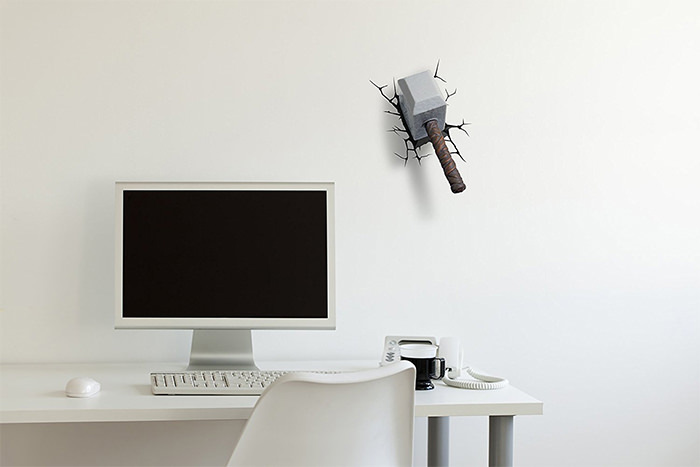 This is a nightlight in a shape of Thor Hammer meant only for those of you with the hearts of true Viking warriors! The 3D light is light-weight and can be held on the wall with screws and raw plugs. This awesome passport cover will keep your important documents safe and dry, as Superman, Batman, and The Flash will be their protectors. 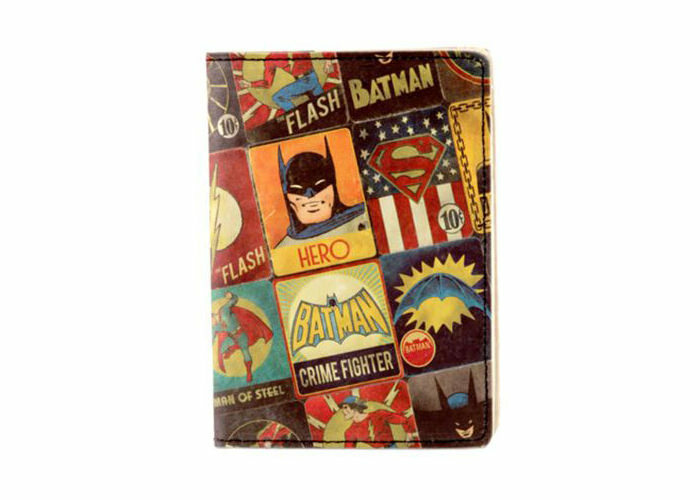 Inspired by vintage comic book design, this cover will be a perfect gift for a superhero lover. 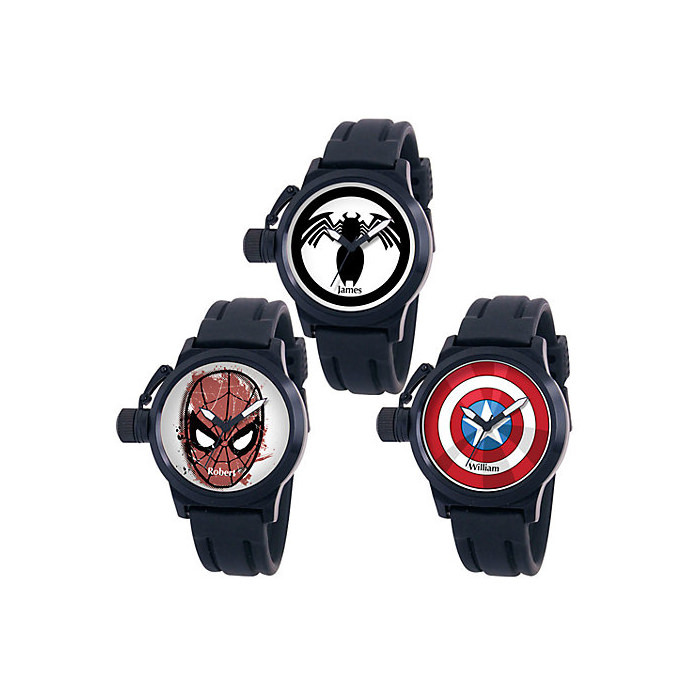 These are Marvel comics inspired customizable watches for kids and young adults. You can customize the dial with your name (up to 12 characters), and choose between rubber or leather strap. These watches are also water-resistant. Superman is the universally favourite superhero for all times. 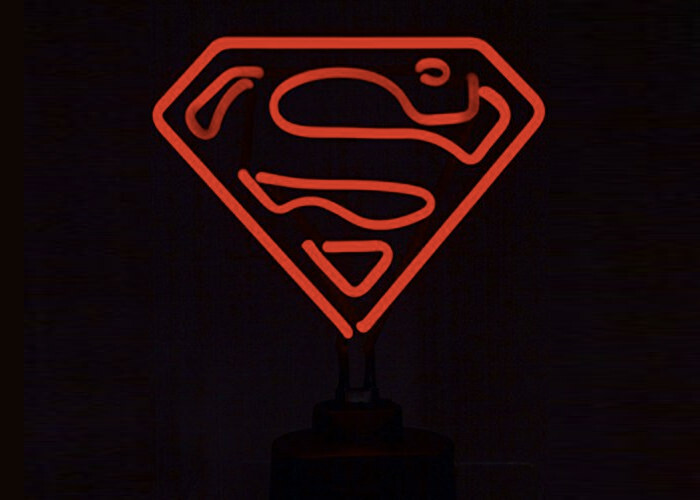 For Superman fandom, here is a retro neon light in the shape of Superman logo. It has a stable wooden base and can work as a cool night light for kids. 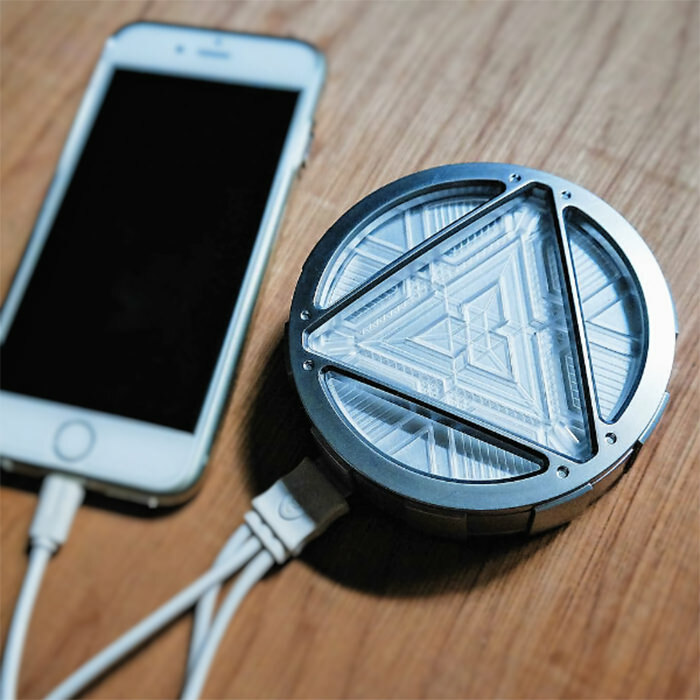 This Marvel comics inspired awesome Civil War ARC Reactor power bank not only charges your smartphone but glows in the dark too. The battery capacity is 5200mAh. It features 5 interactive sound and lighting effects. Just like the Avengers protect us from unexpected disasters, this set of Marvel coasters saves your table from being destroyed by beverage stains. 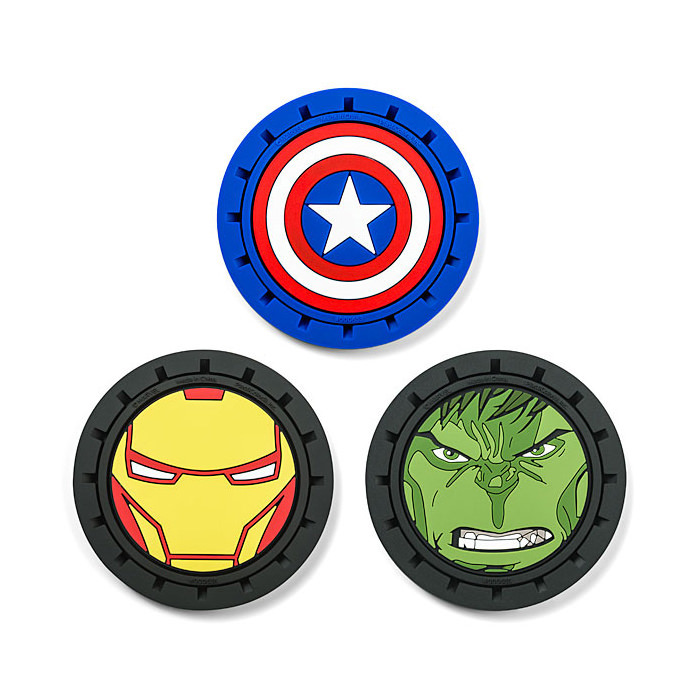 These coasters featuring Captain America, Hulk, and Iron Man will enable superheroes fans to enjoy their parties in superhero style. 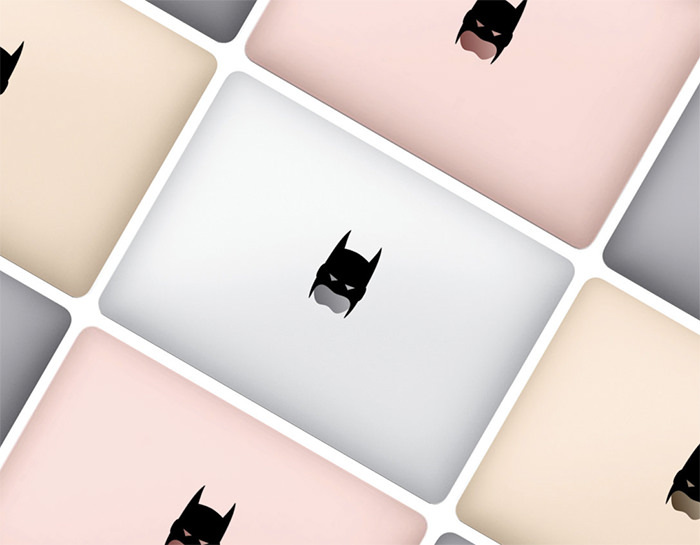 Now you can pair your Apple logo on McBook with the hero of Gotham City using this Carbon Fiber Batman MacBook Decal. Made out of vinyl, this decal has the Batman mask which attaches beautifully on the Apple logo and also glows in the dark. 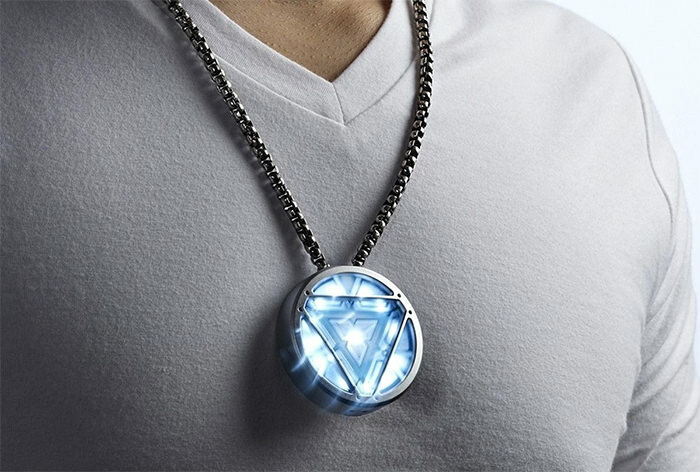 This is Marvel Iron Man 3 USB sStick which could be worn as a necklace as well. It features lightweight metal, waterproof and shockproof design. The USB drive is officially licensed by Marvel and is a design by InfoThink. 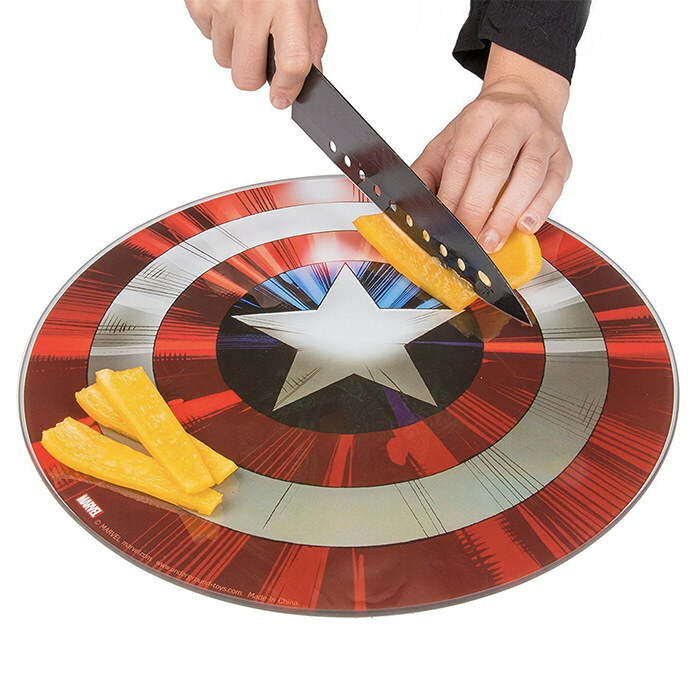 This interesting cutting board is made out of toughened glass but looks exactly like the famous shield of Captain America. It is perfect for food preparation or presentation, on a kids’ party, for example. 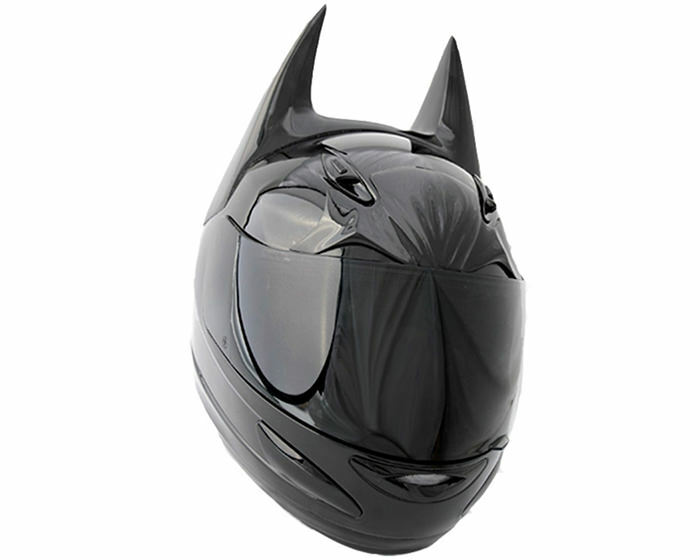 This fantastic bat helmet will make you look and feel like the Dark Knight out on a mission to save Gotham. It’s sleek, stylish, and hand-crafted to perfection. The full-face helmet is made using a proprietary elastomer formula and high-quality materials. Read Also: 40 Superheroes Artworks That Make You Go Awww!